In 2017, too many investors became complacent. We saw large-cap and small-cap, high-growth and deep-value stocks rally at an unusual rate. Stocks defied market caps and continued to churn higher, with buyers anxiously gobbling up 2% and 3% pullbacks. It was times like this that made many lose sight of just how powerful dividend stocks can be. Instead, they piled into names like Square Inc (NYSE:SQ), Netflix, Inc. (NASDAQ:NFLX) and Amazon.com, Inc. (NASDAQ:AMZN). Not that these companies are bad by any means. But in my view, thanks to the insanely low volatility and desperate appetite investors had for the market as a whole, many lost sight of the fundamentals. The start of 2018 was quick to remind investors just how painful it can be. While names like AMZN and NFLX held up pretty well, the overall market took a beating. The S&P 500 fell roughly 10% in just 10 days from peak to trough. The decline reminded many investors that the fundamentals do matter and that there’s more to stocks than top-line growth. It also reminded them of the comfort in dividend stocks. 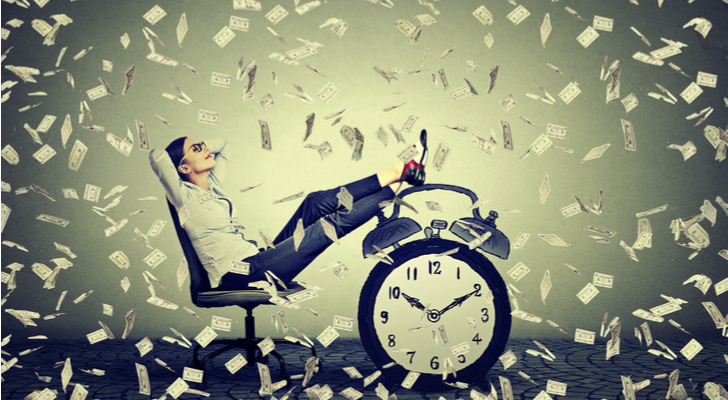 It even got me wondering, what dividend stocks should I be focusing on? Even now, many names are still well off their highs. That gives investors a chance to nibble at them while the yields are lower. With that in mind, let’s take a closer look at some of the best dividend stocks from seven different sectors. Just because a company has a higher dividend yield, doesn’t mean it’s the better company. Case in point, Wells Fargo & Co (NYSE:WFC) yields 2.7% while JPMorgan Chase & Co. (NYSE:JPM) yields just 1.9%. And yet, the latter is the better of the two dividend stocks. While a sub-2% yield is not worth making a fuss over, it’s not worth dismissing either. JPMorgan management makes a conscious effort to raise its capital return figures for shareholders — although it should be noted that the Federal Reserve does have regulations in place that limit how much banks can return to investors. It doesn’t necessarily make JPM stock a titan among dividend stocks, but its business is so incredibly strong and its valuation is so attractive that it would be foolish to ignore the name. Analysts are looking for 5.2% revenue growth this year and 4.6% in 2019. Further, they expect earnings to grow 27.4% and 10.1% in the same time period, respectively. Despite that growth, shares trade at just 13 times 2018 earnings estimates. Not bad right? As for catalysts, there are plenty. Rising interest rates will give a nice bump to JPMorgan’s bottom line. As the economy continues to heat up, the banking business — lending, M&A, etc. — will continue to improve. Finally, as market volatility looks likely to increase year-over-year, JPM and other banks should see trading revenue increase. All in all, we have a 1.9% dividend yield on a low-valuation, high-earnings-growth stock. With a recession nowhere in sight, JPM stock is a buy. 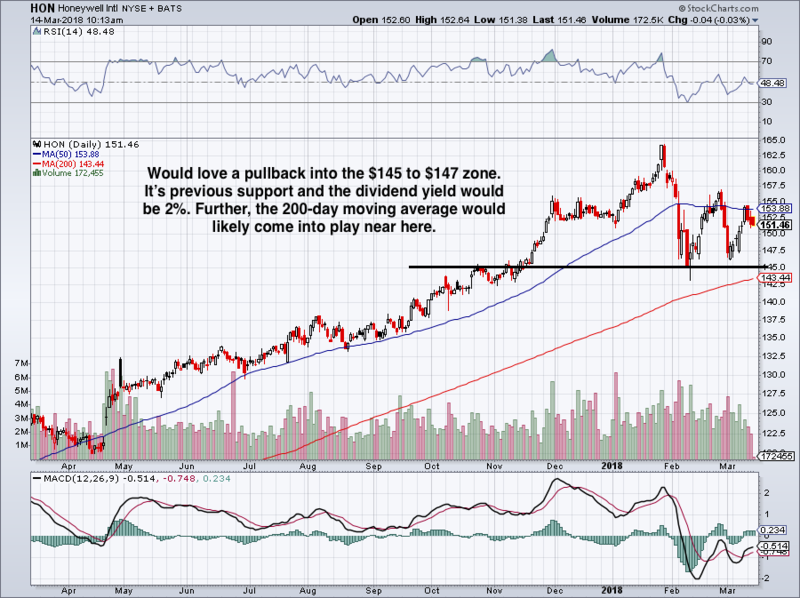 Is Apple Inc. (NASDAQ:AAPL) the best stock to buy? One could argue that it is, as it pushes toward a $1 trillion market cap. It’s not even so much that the company has such stellar growth. It’s just that its business appears to be nearly impenetrable. Last quarter, the average selling price (ASP) for its iPhone was $796, up $101 YoY from $695. This 14.5% bump wasn’t expected by the analysts either, who were only looking for an ASP of $755. Along with higher selling prices for its iPhone, Apple continues to see strong growth in its high-margin services revenue. Sales jumped 18% YoY for the segment, as the Apple user base continues to grow and continues to spend. Other hardware sales, like Beats, AirPods, HomePod and the Apple Watch, are small compared to the iPhone, but they help fuel top-line growth while Apple rakes in the cash. Speaking of money, the company has cash reserves of more than $285 billion. In April, we’ll get an update about what the company plans to do with all that capital. Based on its history though, it will return a bulk of it to investors. According to recent comments from management, we could easily be looking at more than $100 billion this year. 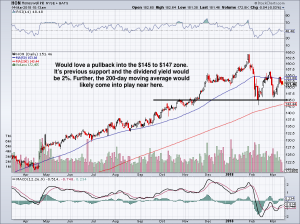 Investors should consider buying on a pullback as Apple yields just 1.4% and recently hit all-time highs. Analysts are looking for 24% earnings growth this year and 15% next year while AAPL stock trades at just 13.5 times forward earnings. With a fortress balance sheet and glutinous capital return program, what’s not to like? Here’s where we were buying. While Apple does not have the most robust yield, it returns the most capital to investors (by a mile). For that alone, it’s worth considering. When I’m looking for a best-in-breed industrial stock, the search doesn’t last very long. 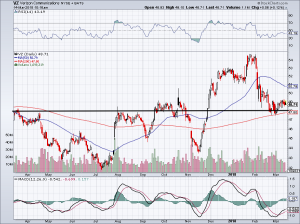 Honeywell International Inc. (NYSE:HON) is always my top pick in the space. Down more than 50% over the past year, General Electric Company (NYSE:GE) is an obvious laggard to Honeywell. However, 3M Co (NYSE:MMM) and United Technologies Corporation (NYSE:UTX) are also great companies. To be honest, it’s hard to go wrong with any one of these companies, that being HON, MMM or UTX. Each is a solid pick among industrial dividend stocks. For that reason, we lined up them against one another to see which was the best. When it comes to dividend yield, 3M was the winner with a 2.3% yield. Although UTX and HON aren’t far behind at 2.2% and 2%, respectively. UTX is the cheapest stock on an earnings basis and on an EV/EBITDA basis. 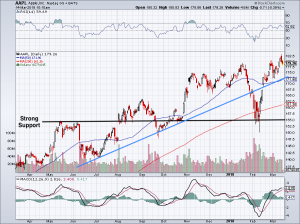 However, HON barely trades at a premium to UTX and has far superior earnings growth. Broadly speaking, 3M is the most expensive of the three. That said, it’s forecast to have the best earnings and revenue growth (15.4% and 6.5%, respectively) in 2018 out of the three. With segments that take advantage of an improving global economy and an increasing population, 3M, Honeywell and UTX are all uniquely positioned to benefit. Further, they sit in a number of promising secular markets, like healthcare and aviation. While I prefer HON on a small pullback, investors would do just fine owning all three. Perhaps this is an example where the basket approach would work best. Johnson & Johnson (NYSE:JNJ) has rather quietly seen its market cap creep up to $360 billion. The Band-Aid and Tylenol maker sure has a quiet, humble demeanor about itself, but that doesn’t mean investors should forget about its wonderful prospects and high status among dividend stocks. 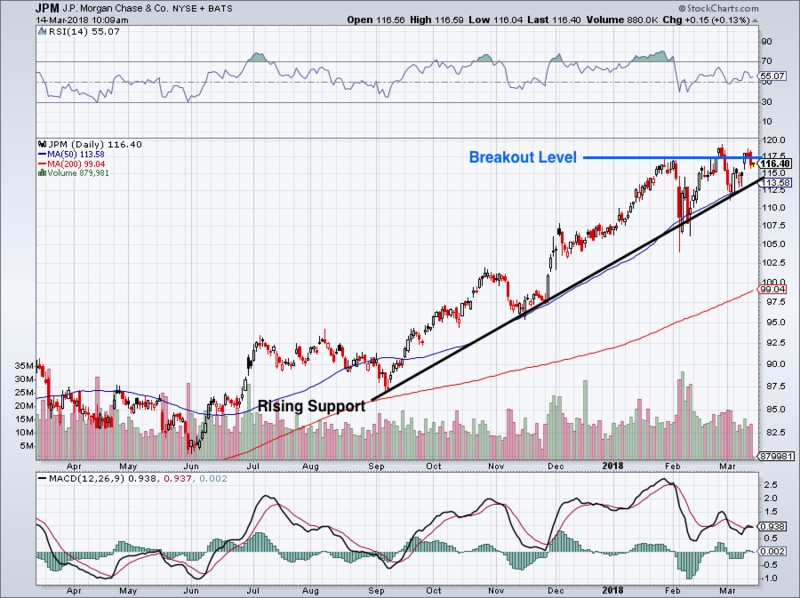 J&J yields a promising 2.5%, and while its stock has been under pressure lately, it may not stay that way for long. While the pullback sapped much of JNJ’s last 12 months of gains, momentum could be returning with shares are up ~5% over the past five trading sessions. Shares are still near a perfect zone. Plus, its recent pullback lowers the valuation and raises the dividend yield for new buyers. JNJ stock trades at a rather reasonable 16.5 times this year’s earnings. Given that analysts expect earnings to grow 11% this year, that’s pretty attractive. If J&J hits analysts’ estimates, it will grow revenue more than 6% in 2018 as well. That’s one of the things I really like about JNJ. Unlike a number of consumer goods or consumer packaged good stocks, J&J has solid earnings and sales growth and the valuation is reasonable. Don’t forget about its rock-solid balance sheet and dependability. Johnson & Johnson has not only paid out, but has raised its dividend for more than 50 consecutive years. Through the recessions, housing crisis and bear markets, JNJ has been the light at the end of the tunnel. Don’t expect that to change any time soon. 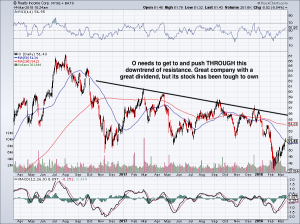 For those who just want a big old-fashion dividend yield, it’s hard to overlook telecom. While rising interest rates may make this group less attractive, the fact that these companies have strong cash flows and low valuations certainly help. 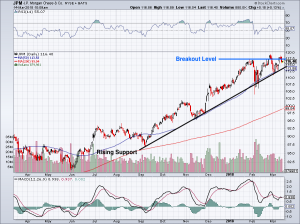 Verizon Communications Inc. (NYSE:VZ) yields a whopping 4.9% and is very dependable when it comes to its payout. It’s worth acknowledging though that AT&T Inc. (NYSE:T) and its history of rising dividends (34 straight years) beats Verizon. Aside from the debt load and declining subscription issues with DirecTV, I don’t have a problem with T, but my personal preference is still VZ. For the most part, telecoms like Verizon do not have the most exciting business. However, as consumers refuse to part ways with their smartphones and tablets, VZ and T are the big beneficiaries. You might have paid Apple $1,000 for that new iPhone X, but it’s a telecom that will charge customers $50 to $80 per line per month. As a result, these companies have massive cash flows. On the downside, it comes with little growth. Analysts expect Verizon to grow sales just 1.8% this year and 1% in 2019. Earnings for Verizon are set to explode more than 20% this year, but it’s worth noting Verizon is a big beneficiary of tax reform. In 2019, estimates call for just 2.4% growth. Ultimately, shares trade at 10.6 times 2018 earnings. Little excitement equals low valuation. In any regard, it’s hard to find a near-5% dividend yield. But if you’re in the market for it, VZ has to be one that comes to mind. 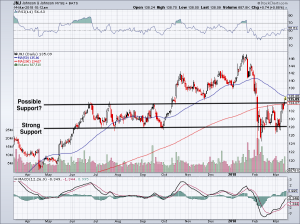 If VZ isn’t a 4% yielder that comes to mind, perhaps General Motors Company (NYSE:GM) will be. A lot of people will shake their head when it comes to General Motors. I’m not so sure why, though. Perhaps they don’t like the company’s thin profit margins. Maybe it’s the looming fear of “peak auto.” But in reality, CEO Mary Barra runs a great operation over in Detroit, MI. 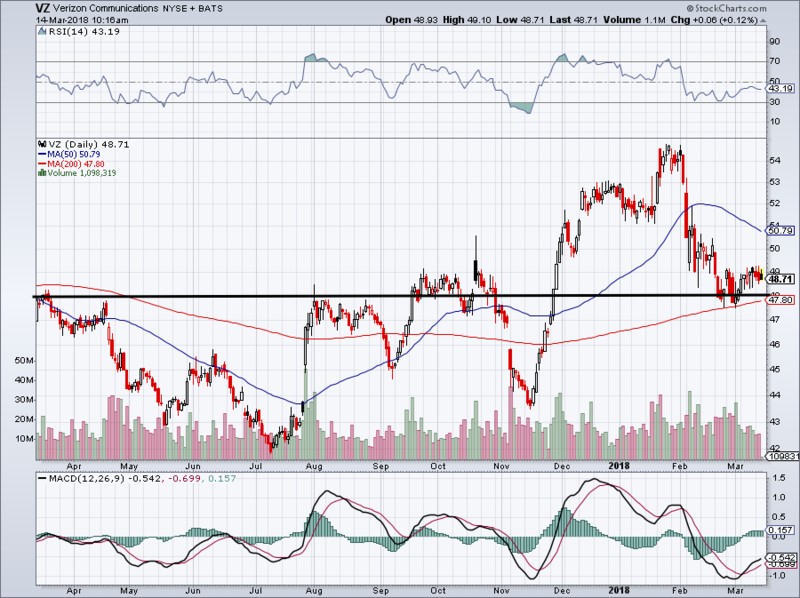 Consumer discretionary stocks generally do good when the economy is strong. After all, they’re the ones that benefit most when the consumer has some extra money in their pocket. However, during rough patches in the economy, these stocks get hammered. GM is no exception, accepting a bailout roughly a decade ago is a prime example. Analysts expect flat sales growth over the next two years and a slight dip in earnings. Thankfully, we’re not paying much for the stock at less than 6 times forward earnings. 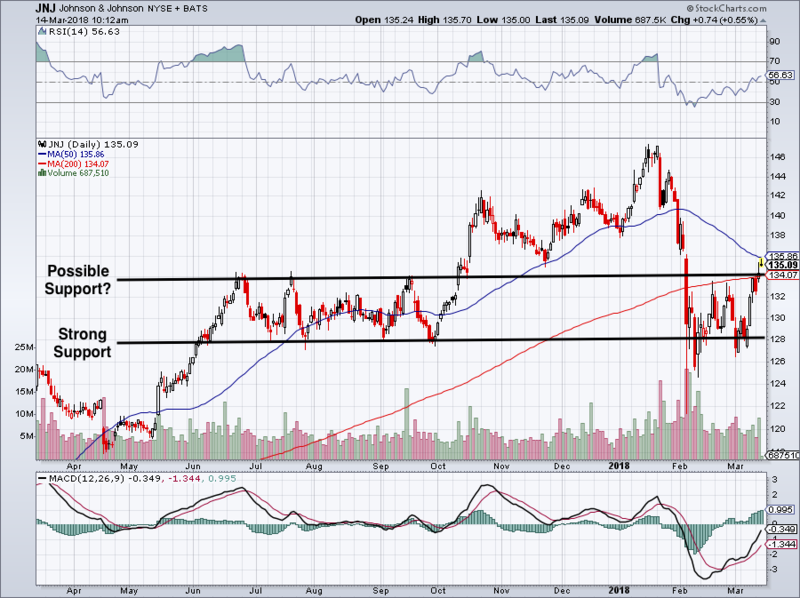 I’ve long liked GM stock over Ford Motor Company (NYSE:F), as the latter continually disappoints investors. Further, GM has some real potential moving forward. If the automaker can build out its fleet of self-driving robo-taxis for dense urban environments, it could generate several hundred thousand dollars per car in return. That includes maintenance costs too and sure beats the heck out of a one-time $38,000 sale — even if that is a record monthly average transaction price. 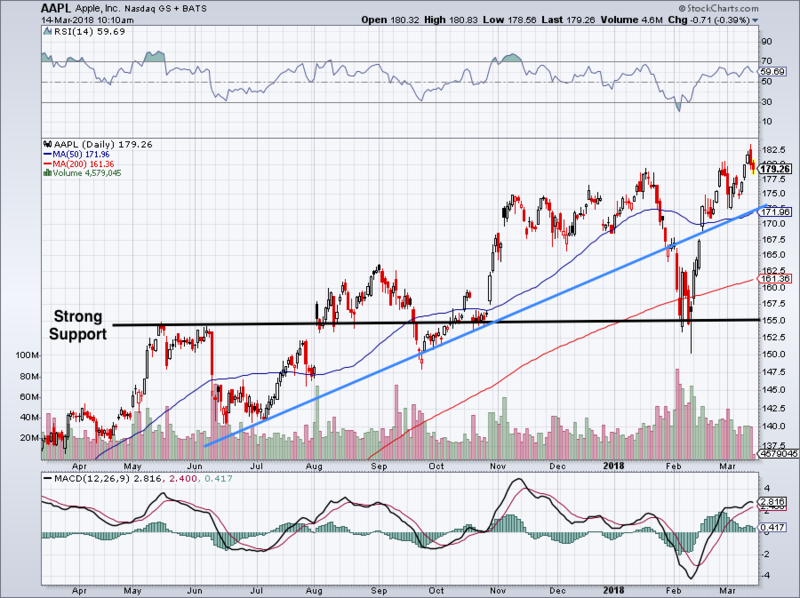 Sans-recession, GM’s a buy near support. Click to Enlarge REITs — or real estate investment trusts — have been obliterated over the past few months. That’s because interest rates have been on the rise, making the argument that bonds are becoming more attractive. It’s true, as so-called “risk-free” 10-year Treasuries hover near 3%, why bother with the up-and-down risk of a stock that pays a similar amount? The only difference is, these REITs tend to pay out more than 3% and many are sitting on robust businesses. My three favorites? Realty Income Corp (NYSE:O), Ventas, Inc. (NYSE:VTR) and either Digital Reality Trust, Inc. (NYSE:DLR) or CyrusOne Inc (NASDAQ:CONE). 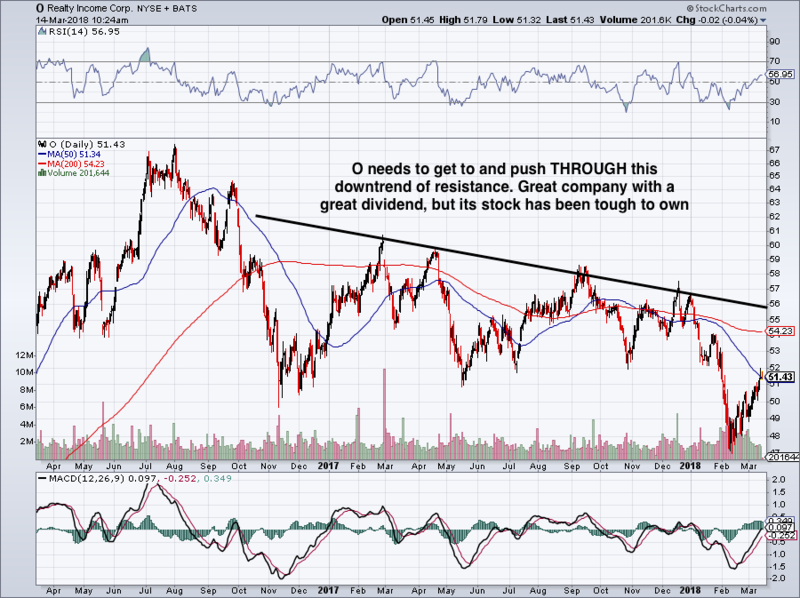 O is known as the “Monthly Dividend Company” and has become one of the most dependable REITs out there. It pays a 5.1% dividend and has a remarkably diverse group of retail-based tenants. Despite e-commerce concerns, O will be in business for quite some time. For those wanting to avoid retail, look to Ventas in healthcare. Specifically, it’s in the senior care business. With thousands of elderly citizens needing more and more help each day, there’s at least one company there to help. Ventas pays a whopping 6.3% dividend yield and is run by a high-quality management team. Finally, there are CONE and DLR. Rather than finding traditional tenants, these companies are landlords for data centers. It’s a merger between REITs and technology and these guys have plenty of growth to show for it. While it may seem like a more aggressive approach to REIT investing, it’s anything but. Demand for cloud and data storage is going nowhere but up, and companies like International Business Machines Corp (NASDAQ:IBM), Facebook Inc (NASDAQ:FB) and others need someone to store it. Enter CONE and DLR to save the day. Because these businesses are in such high demand, investors have been bidding them up as well. As a result, these two stocks yield 3.5% and 3.8%, respectively. Bret Kenwell is the manager and author of Future Blue Chips and is on Twitter @BretKenwell. As of this writing, Bret Kenwell held positions in JPM, AAPL, JNJ and O. Article printed from InvestorPlace Media, https://investorplace.com/2018/03/7-best-dividend-stocks/.